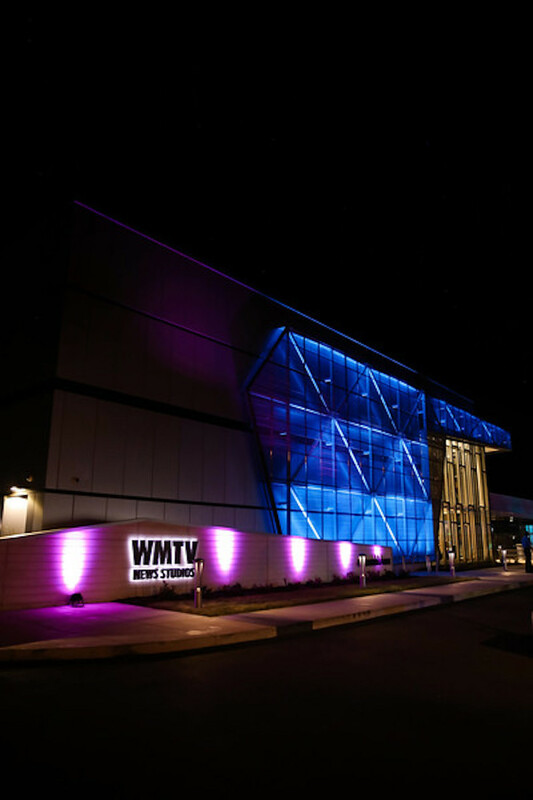 This summer we had the pleasure of being part of a powerhouse team of professionals who put together a truly epic grand opening celebration for Madison, Wisconsin news station WMTV. 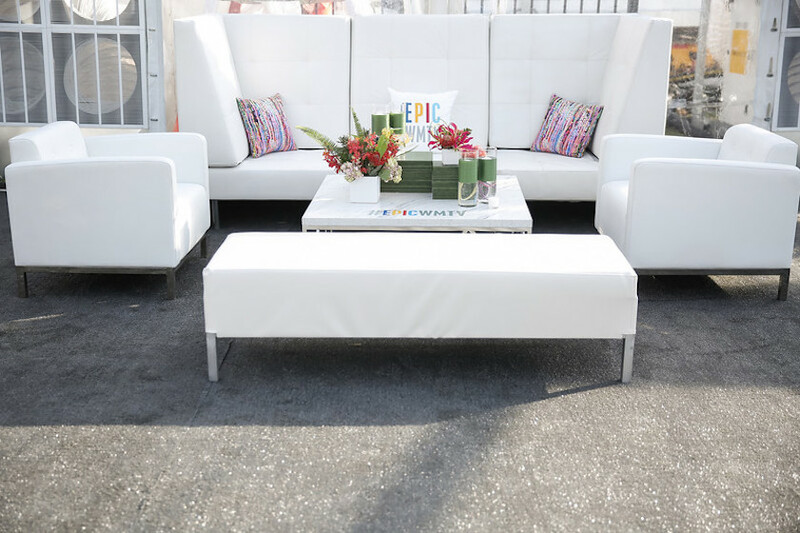 The new, state of the art studio hosted a celebration for over 700 people who were invited to attend an amazing party full of food, great music, dancing, and celebrity guests such as Derek Hough of World Of Dance, Miss America Savvy Shields, and Sterling K. Brown of This Is Us. 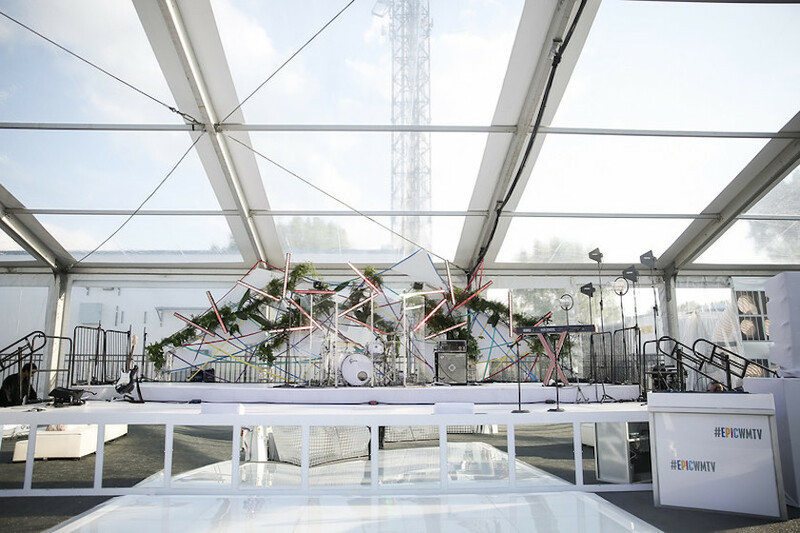 The studio's parking lot was transformed into a show stopping event space with a clear topped tent and modern white decor where our vibrant floral designs popped amongst the minimalist design. 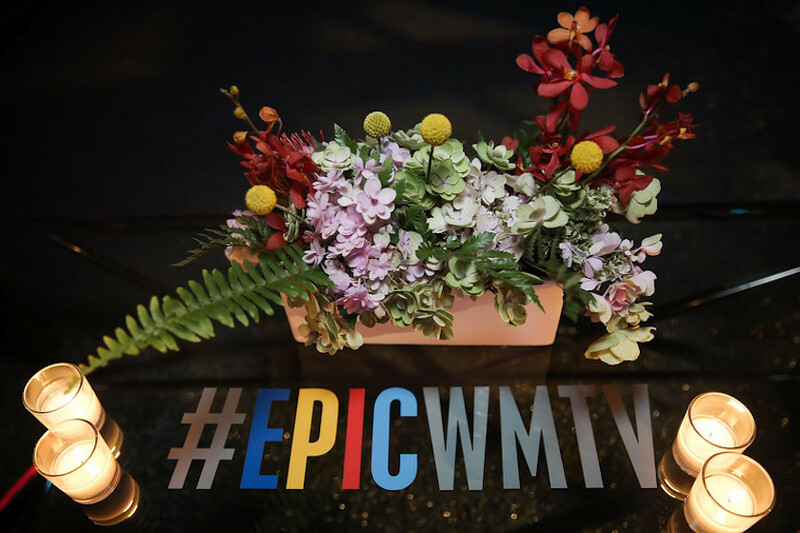 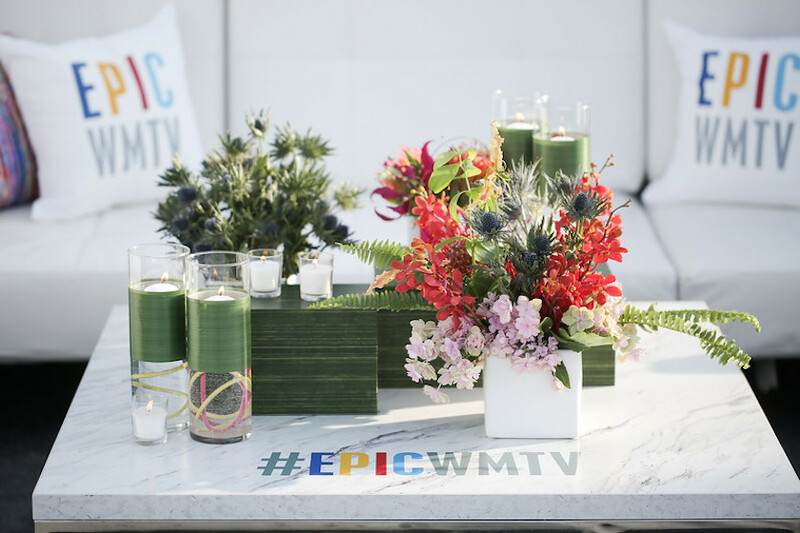 Chic white seating and glass coffee tables were paired with colorful pillows bearing the party's moto - EPIC WMTV. 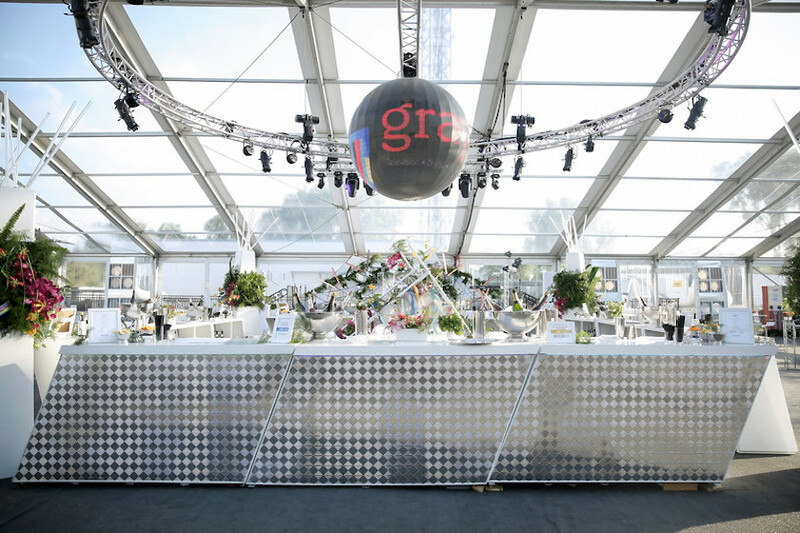 A digital disco ball hung above the metallic bar in the center of the tent and was framed on both sides by tall white pillars abundant in greenery and bright blooms. 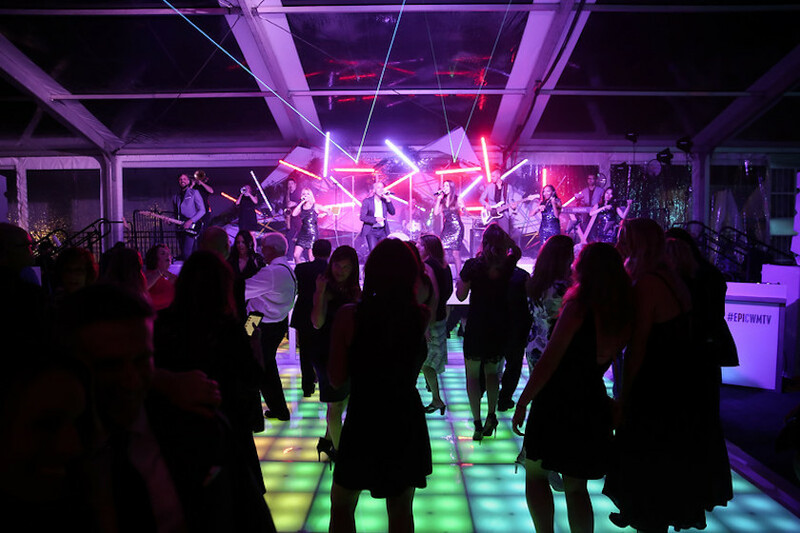 As the night continued, live entertainment took to the stage and kept guests on the neon lit dance floor. 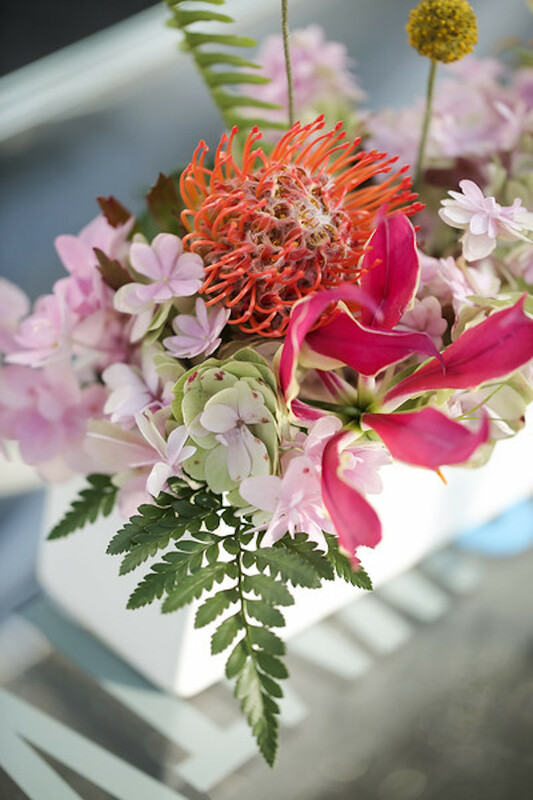 Special thanks to the entire creative team who worked on this event and to Angela Howard Photography for the beautiful imagery!